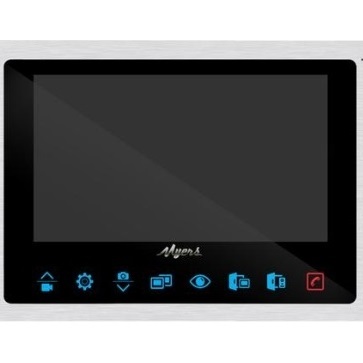 AHD 7 " color video screen , Handsfree, support standard PAL / NTSC, support 2 AHD-M/CVBS outdoor video panels and 2 AHD-M/CVBS cameras, lock control from door station, intercom function. Built in the power supply. Support micro-SD card up to 32GB. Dimensions: 237.9х144.1х19.5. Weight 340g. Metal case. AHD Color outdoor video panel, 1.3Mp, 1/3 "Hi-Res CMOS Pro Gen IV, 0,1 Lux, f = 2,8 (angle of view up to 130°), infrared light 3 m, 12Vdc / 250 mA, IP44, built-in relay for NO and NC control of electromechanical and electromagnetic locks, -35 ° C ~ + 55 ° C. Weight 275g. The visor and corner bracket included. Light Silver color. 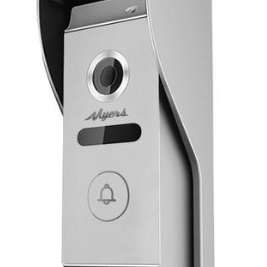 Vandalproof metal.